In May 2017 we signed an agreement with the Devon Family History Society (DFHS) that allowed them to digitise a selection of our archives. This is an exciting project for us, as with our limited resources (access, equipment and people), it is something we would not be able to do in-house. Many of the enquiries we receive at the collection are to do with family history research and research on specific individuals. Although we have a selection of index painstakingly created by our volunteer team, they are limited, take a long time to create, and require the volunteer to be in the collection with the physical archives in front of them. Over the last year DFHS have been beavering away, bringing their cradle and high-definition camera to Okehampton to perform the scanning. 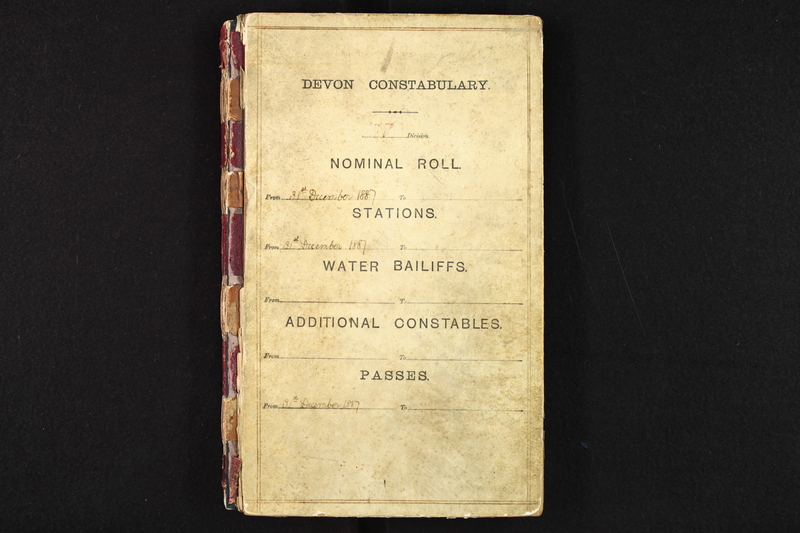 Although they have not yet been completed, once they are the digitised material will be available in a searchable form will be via the Devon Family History Society members site. We will also be able to feed the scanned archive images back in to our Collections Management System, CALM, create indexes based on the images (and even enable remote volunteering as a result), and then use the indexes to help us locate individuals in research requests, and in our own research. Some fantastic discoveries are happening as a result of what has been scanned so far. We recently posted an image from one of our scanned archives on Twitter of PC Cecil Elford from the Exeter City Police scrapbook. Within minutes, replies came in with his post-war portrait and detailing his First World War military service; a fantastic example of social media hive mind fleshing out the story. Find the conversation in the embedded tweet below. 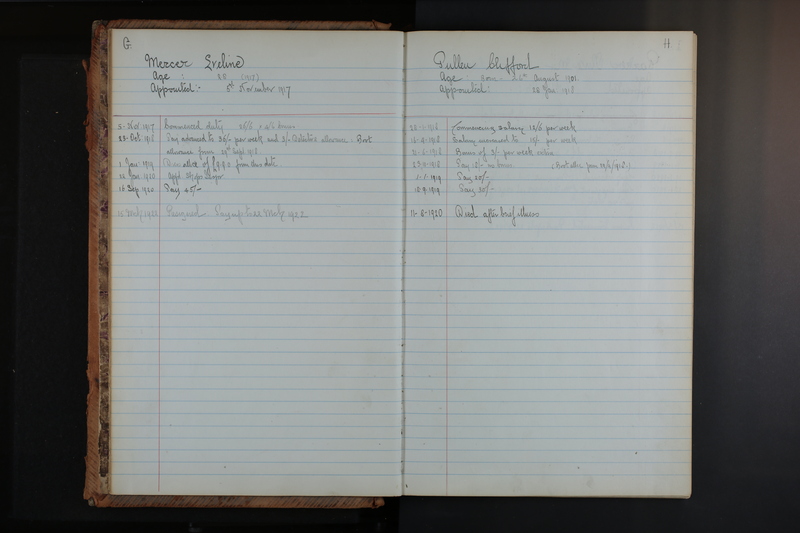 Another example is an interesting ledger page in the Exeter City Police nominal roll for Eveline Mercer (appointed 1917 and later made ‘Shops Inspector’) – the only women mentioned in this period – see the left side of the image below. Collection volunteer Peter Hinchliffe has performed some research into Eveline’s employment, which we will share here. Good afternoon I am the Secretary of the Exmouth Family History Group and am just finishing our Newsletter and program for 2018/19 and wonder if you have anyone who might be able to talk on the 23rd of May 2019, about the Trust, the work you do and what sort of information a family historian might be able to find in archives like Yours Sincerely John Wakefield.